Everyone loves a good convict story, and George Barrington’s chequered life of misdeeds, ‘dissipation and licentiousness’ fails to disappoint. A real life ‘Artful Dodger’, Barrington remains one of the most notorious convicts in history. He also played a role in one of the greatest literary frauds, a myth that perpetuates to this day. 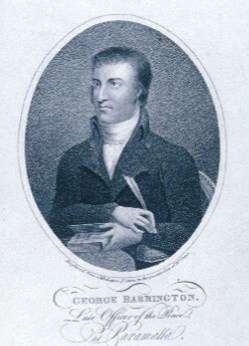 George Barrington was born around 1755 near Dublin, Ireland. It seems that his troubled past began quite early when, at the age of just 16, he fled his school after stabbing another boy with a penknife and stealing money and a gold watch from the headmaster. He then, as the saying goes, ‘fell in with the wrong crowd’ and joined a group of local players, who made their money swindling and pickpocketing unsuspecting victims. The group’s leader, John Price, taught the new apprentice the art of pickpocketing. In the early 1770s, Price and Barrington moved to London as partners in crime. Price was subsequently arrested in 1773 and sentenced to transportation to America. Barrington fast became a notorious thief and focussed his attentions on various theatre hotspots in London, including Drury Lane. The ‘prince of rogues’ posed as a gentleman, led a lavish lifestyle and made friends with London’s influential people as he picked their pockets. 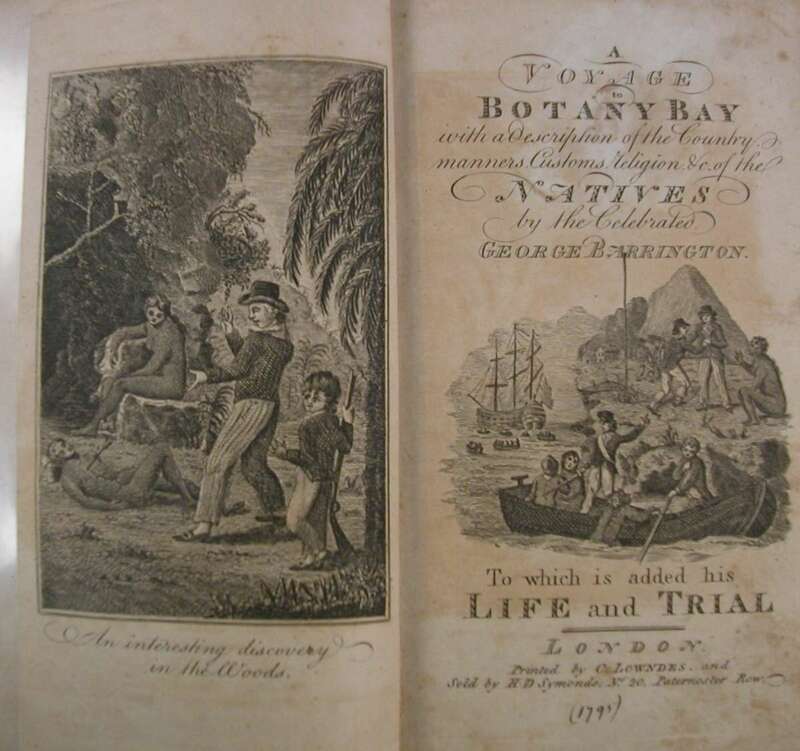 In the first text falsely attributed to Barrington, A Voyage to Botany Bay (1795), the introduction lists his most famous crimes. He once posed as a clergyman, pickpocketed members of the English Court and managed to cut the diamonds off the clothing of a Knight of the Garter, completely unobserved. In 1775, he was caught stealing from the Russian Count Orlov. The target was a snuff-box encrusted with diamonds worth £30,000 (around £3.7 million in 2011). Over the 1770s, Barrington was arrested numerous times, but his charm and clever oratorical skills consistently ensured that justice was never fully carried out. Consequently, he would often serve only part of his sentence on the prison hulks at Woolwich before being released early. Despite his charm, however, on 15 September 1790 he was tried at the Old Bailey (Central Criminal Court in London) for stealing a gold watch and chain belonging to Henry Hare Townsend Esquire, at Enfield racecourse. He rose to the occasion yet again, putting on a courtroom performance that allegedly brought the jury to tears. He was handed a relatively lenient sentence of seven years transportation to New South Wales. 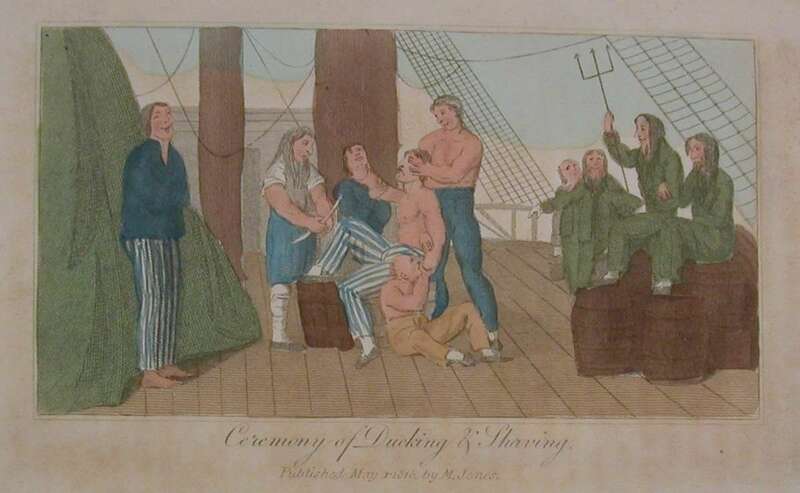 Barrington was transported to Sydney in the supply ship Active and arrived in September 1791. He was sent to work on a farm at Toongabbie and after a year was given a conditional pardon and posted as a watch on the government supplies. He appeared to have given up his light-fingered ways and was granted a full pardon by Governor John Hunter and appointed chief constable in Parramatta in 1796. By 1800, however, Barrington was declared insane. He resigned his post and received a pension until his death on 27 December 1804. An’t I a swaggering man, sir. Don’t hang the swaggering man sir. Though not with much éclat, or beat of drum.